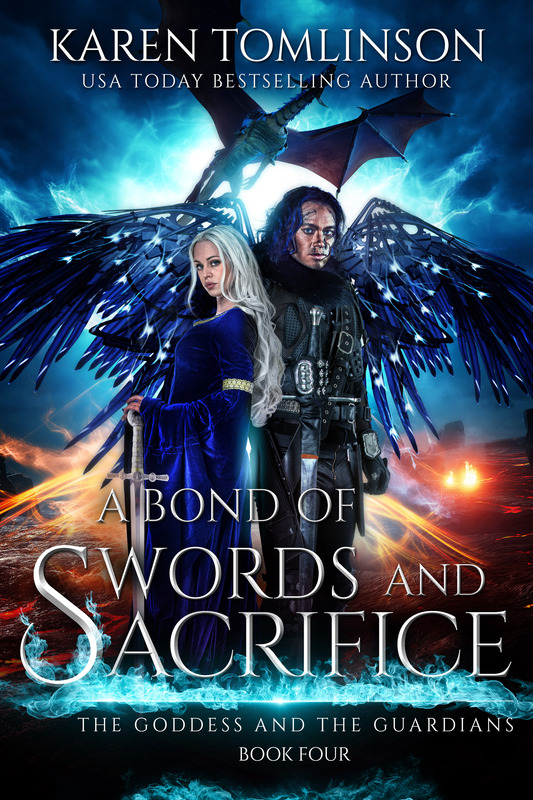 A Bond of Swords and Sacrifice Cover Reveal. I am so excited!! Yes! I can FINALLY release this book cover to the world. I have had this on my computer for sooo long it’s been painful! I wanted to get this book out to you all far quicker than December but my editor unfortunately could not fit me in earlier than October, so the release date is15th December 2018. I know it’s been a while since the first book in The Goddess and The Guardians series came out, so at least this gives those who have forgotten the thread of Diamond and Hugo’s story to do a re-read. 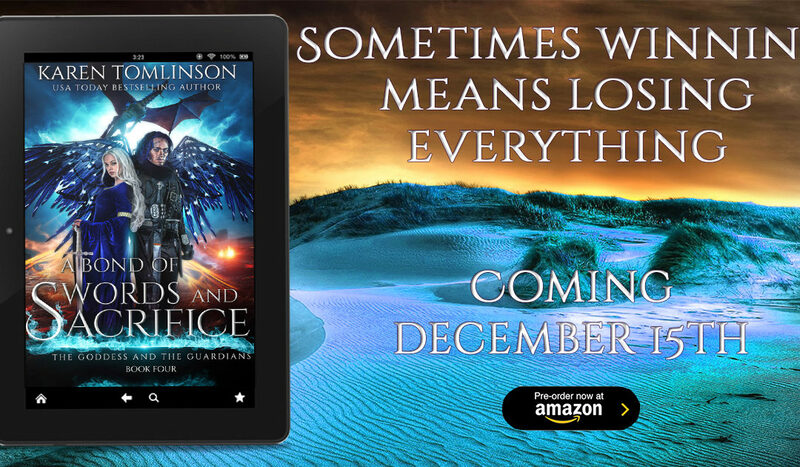 I can’t wait to share this FINAL instalment with those of you who have loved these characters and their journey right from the beginning where they met in the forests of Avalonia to the volcanoes of The Fire Mountains and the blue sands of The Sky Deserts. In this final adventure Diamond and Hugo meet amazing new allies and friends in the wizards and the rulers of the other kingdoms but they fight many more powerful enemies. They of course return home to face their ultimate enemy and Diamond’s nemesis: the God of Chaos. I am so proud of their journey and the strength of both characters in the conclusion of this series and seriously cannot wait for you to read it! IT’S EPIC! OMG! I’m so excited to share it with you! Anyway, here is the cover and don’t miss out on the $50 Amazon Gift Card giveaway for the release of this book- All you have to do is enter your order number/receipt number in the Rafflecopter giveaway. WILL BE FREE IN KINDLE UNLIMITED!